Accelerated BSN programs provide individuals looking for a change in careers to pursue a Bachelor of Science in Nursing. The intensive, accelerated course loads allow students to acquire a BSN degree in as few as 12 months, providing both in-class and online accelerated BSN programs. Each school has individual requirements, but the best accelerated nursing programs usually involve a bachelor’s degree from an accredited school in a non-nursing field along with a minimum cumulative GPA. The demand for nurses has never been higher. With the Baby Boomer generation at retirement age, more and more nursing positions will be opening up at hospitals, medical centers and a host of other healthcare institutions. Earning a BSN can uniquely position you for success in a career dedicated to the care of others. To help you take the next step, we have done the research for you and provided a list of accelerated BSN programs online and on-campus. *Estimated Tuition+Fees listed are for the school year unless otherwise noted. Florida International University has won several awards, including the Florida Nurses Association President’s Award for exemplary service and contributions to the success of the Florida Nurses Association in 2017. Its STAR center provides state-of-the-art simulation for students, and it’s accelerated BSN can be completed in as few as 3 semesters. University of North Florida was first founded in 1972 in Jacksonville, Florida. UNF’s School of Nursing has a community-based, population-focused curriculum corresponding to changes in healthcare delivery trends. It offers three undergraduate tracks for those looking to pursue a BSN degree: Regular Prelicensure BSN, Accelerated Prelicensure BSN, and RN-BSN Bridge. The RN-BSN Bridge is the option for those who are currently RNs and want to earn a BSN. This track allows RNs to complete the program in three semesters, and there is a non-campus as well as an online accelerated BSN program option. Truman State University offers a summer start for its intensive ABSN program. The school offers a high-tech simulation facility and a host of field experience options. Students can even study abroad to learn how to be a nurse in South Africa, Costa Rica or the Philippines. The Christine E. Lynn College of Nursing at Florida Atlantic University serves approximately 1,400 students, providing an intimate learning environment. The school’s campus is located in Boca Raton, and it incorporates feng shui principals to create a unique setting for students. 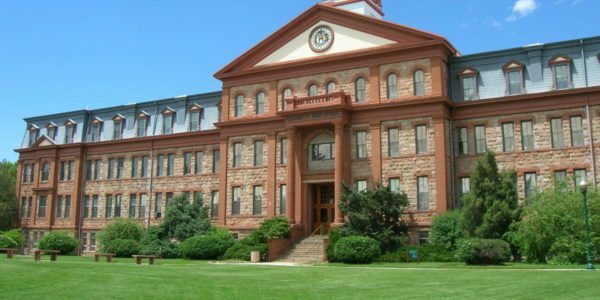 Montana Tech was first founded in 1900 and offers over 40 undergraduate degrees. Graduates of Montana Tech’s nursing program regularly earn one of the highest NCLEX exam pass rates in the state. Montana Tech offers two degree options for BSN hopefuls: Bachelor of Science in Nursing Pre-Licensure and Bachelor of Science in Nursing Post-Licensure Completion. How do you know which one is for you? The Pre-Licensure option is for those who are not current RNs and is a four-year degree program. The Post-Licensure Completion program is designed for currently practicing RNs and is entirely offered online. The online accelerated bsn program spans across four semesters and will consist of classes in Advanced Pathophysiology, Care of the Aging Client, and Nursing Leadership & Management. West Virginia University offers its accelerated BSN program at the Morgantown campus, and successful completion provides access to nursing graduate programs. Students wishing to live on campus have access to the Personal Rapid Transit system, which provides free transportation to and from classes. California State University-Stanislaus first opened in 1960. Stanislaus serves a diverse student body of more than 9,000 at two locations in the Central Valley. Stanislaus offers an Online RN-BSN program which provides students who are current RNs the opportunity for educational and professional advancement. Like most online accelerated bsn programs, it is designed to be completed in one year, following the format of courses being delivered in 10-week sessions. The curriculum offers a variety of classes and options will include courses in Frontiers in Biology, Health Assessment, and Pathophysiology. 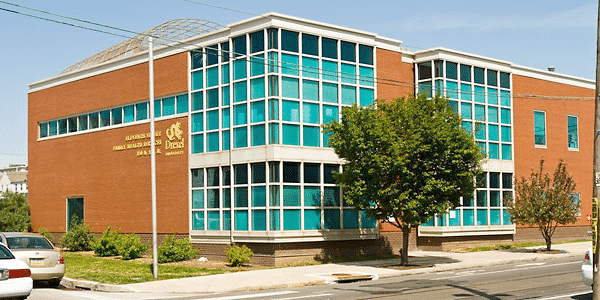 Drexel University offers two programs of varying intensity. Students can choose between the 11-month and 24-month program. The first is a full-time option; while the second is scheduled on evenings and weekends for professional working students. The school also offers unique opportunities for clinicals and simulated care to provide hands-on experience. George Mason University’s accelerated BSN program is a full-time program that lasts 15 months. Admission is extremely competitive due to the school’s prestige, so it is recommended that applicants have at least one backup plan. 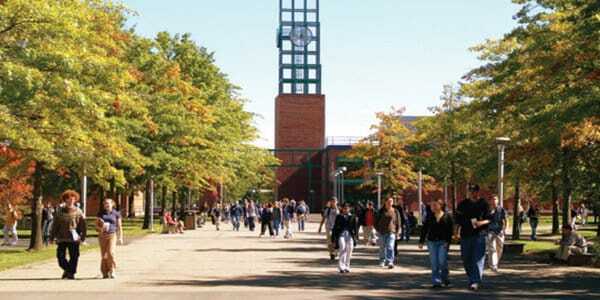 Stony Brook University was first established in 1957, its focus being the preparation of secondary school teachers in the areas of mathematics and science. It’s been regarded as one of the Top 50 public national universities by U.S. News & World Report, and offers over 200 undergraduate programs. 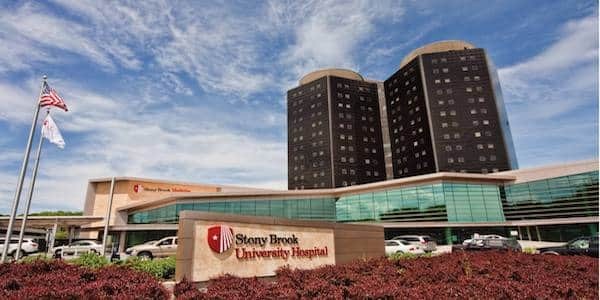 Stony Brook offers a great RN to BSN program, which offers courses in the areas of Pathophysiology, Fundamentals of Pharmacology, and Nursing Management Practicum. 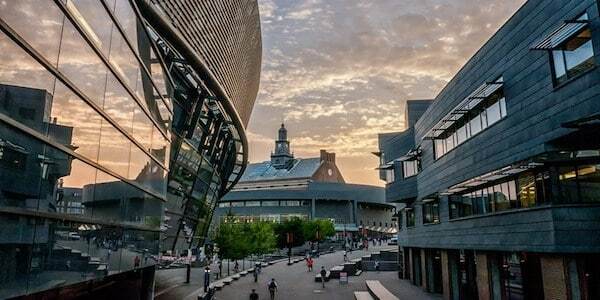 University of Cincinnati was first founded as the Cincinnati Training School for Nurses in 1889 and has always focused on providing a top educational experience in the medical field. It’s been ranked by U.S. News & World Report as one of 2018’s Best Online Nursing Programs, ranking at #11. UC offers an RN to BSN online program with a flexible schedule, adjustable academic plan, and leadership-focused curriculum. For admission into the program, UC requires an active, unrestricted RN license. 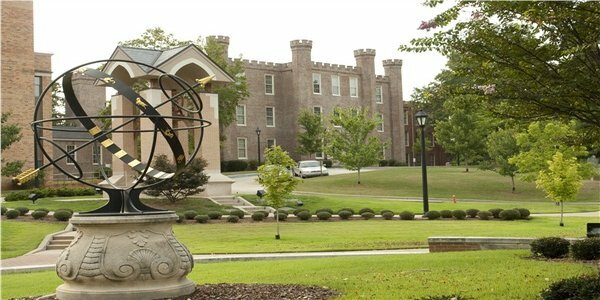 East Carolina University has earned several distinctions, including the Center of Excellence in Nursing Education. Its Master of Science programs are nationally ranked, providing students with a host of excellent options after graduating from the accelerated nursing program. The University of Delaware invites students to a 17-month on-campus accelerated BSN. The program includes clinical rotations at the Al DuPont Hospital for Children and the Veteran’s Administration Hospital. A combination of small classes and large lectures provide a variety of learning experiences. Mount Carmel College of Nursing boasts an 86% freshman acceptance rate. The ABSN programs lasts 13 months, and students attend classes and clinicals 40 hours per week. Mount Carmel also offers MS and DNP programs. 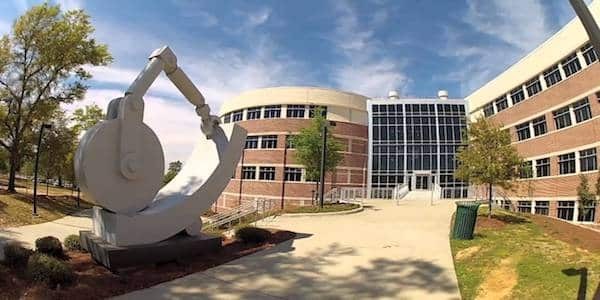 Northeast Alabama Community College was founded in 1963. 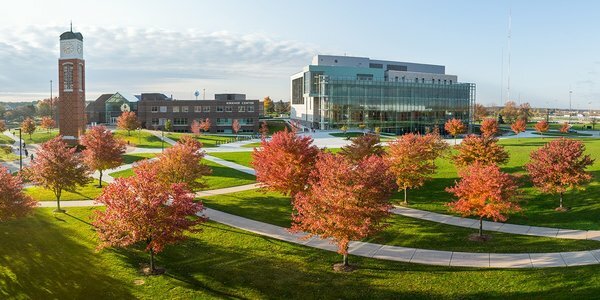 NACC has previously been named one of the top 150 community colleges in the nation by the Aspen Institute. NACC offers an associate in applied science degree in the Nursing (RN) field. Part of the curriculum will be focused on general requirements in the natural sciences, which help with the program-specific courses offered. Some of the classes students will take include Human Anatomy and Physiology, Fundamental Concepts of Nursing, and Evidenced Based Clinical Reasoning. Besides gaining knowledge from books and lectures, NACC offers a campus nursing laboratory, with simulation and instruction directed through hands-on practice and via visual, computer-assisted, interactive, and other multimedia stimuli. 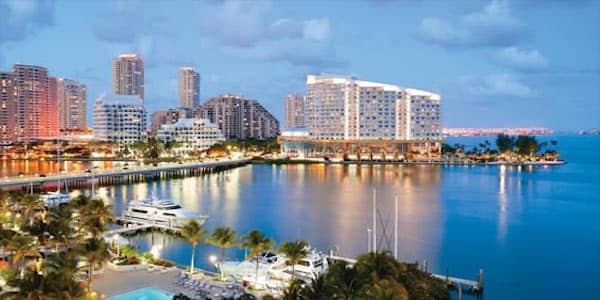 The University of Miami accelerated nursing program lasts 12 months, and it gives students access to one of the most innovative private research universities. The school’s simulation hospital runs students through a range of situations, including treating a trauma patient, assisting an expectant mother in labor, and providing neonatal care for a newborn. 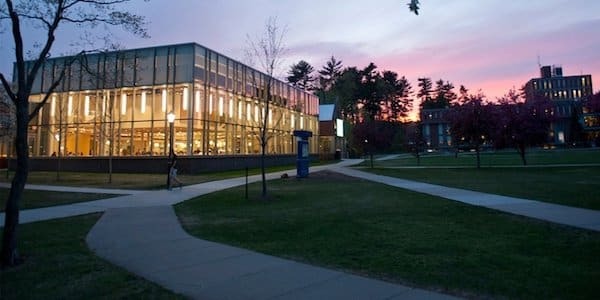 Westfield State University was founded in 1839 and was the first co-educational college in America to offer an education without barrier to race, creed, or economic status. The Nursing (RN to BSN) degree program prepares registered nurses to acquire a Bachelor of Science in Nursing that builds upon existing knowledge and skills. The program can be completed in 12, 15, or 24 months and is a mix of online and on-campus courses, which allows for flexibility in school and work schedules. 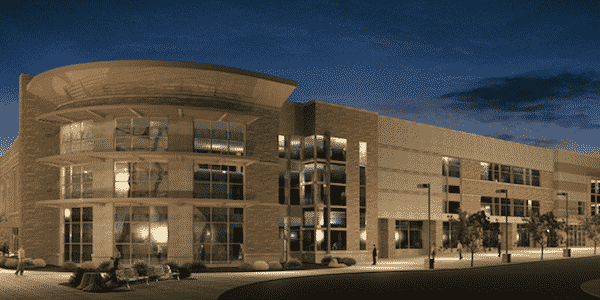 Allen College is situated on a beautiful and expansive campus in Waterloo, Iowa. The school provides a variety of degree programs for prospective nurses, including master’s programs in occupational therapy and a doctorate program in nursing practice. For aspiring nurses holding a bachelor’s degree in another field, the accelerated BSN nursing program provides a path to graduation in just 15 months. 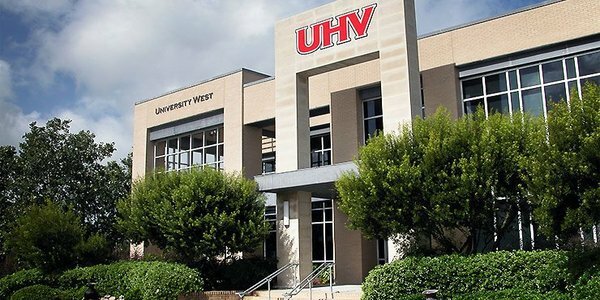 The University of Houston offers a second degree BSM program that lasts 12 months, providing full-time coursework for motivated students. The program starts every spring, and the courses include in-person and web-enhanced learning opportunities for a unique learning experience. The University of Wyoming’s accelerated BSN program is called BRAND, which stands for Bachelors Reach for Accelerated Nursing Degree. The program is designed to help Wyoming’s most isolated medical facilities hire qualified nurses with BSN degrees and hands-on experience caring for patients. 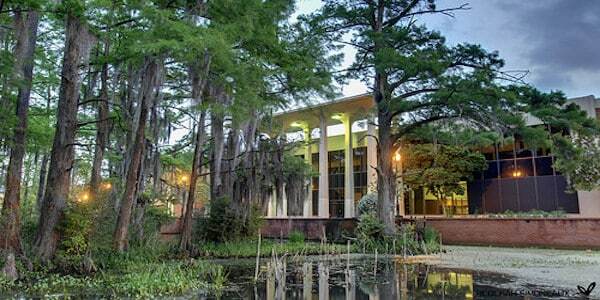 University of West Florida first opened its doors in 1967 and houses over 12,000 students. UWF offers an entirely-online Nursing program for those wishing to go from an RN to a BSN. The online accelerated second degree bsn program track is open to RNs who hold current licensure. Besides providing the fundamentals in nursing, the program offers flexibility and is designed to be completed in as few as 12 months. The 32-credit program offers classes in the areas of Gerontological Nursing, Nursing Systems Management, and Pharmacotherapeutics for the RN to BSN. Georgia College & State University first began classes in 1891 with the intent to prepare women for the demands of the new industrial age. Nowadays it serves more than 6,600 undergraduate and graduate students in four different colleges. GCSU offers a BSN in Nursing and the program is designed for practicing registered professional nurses holding an associate degree or diploma degree in nursing. Besides the core classes in Anatomy and Microbiology, students will be expected to complete courses in Nursing in the Childbearing Family, Legal & Ethical Aspects of Professional Nursing, and Nursing Research in Professional Practice. Samford University’s Ida Moffett School of Nursing offers both a five-semester second degree BSN program and an accelerated 12-month program, providing students with flexible learning options. The school also offers a unique Veteran’s BSN for former service members, reservists, National Guard members and active duty service members, giving them an option to acquire a BSN by leveraging their service experience in a university setting. The Duke University School of Nursing accelerated BSN program is comprised of four 12-week semesters. 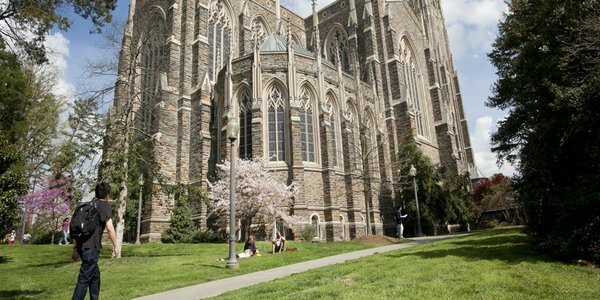 Clinical rotations at Duke University Health System give students a chance to get a unique learning opportunity at one of the most prestigious centers in the country. Western Illinois University was established in 1899 in Macomb, Illinois. Its offers a fully online Nursing BSN program for current registered nurses. The curriculum will include courses in the following subjects: Introduction to Professional Nursing, Ethical & Legal Issues in Professional Practice, and Community Mental Health Nursing. 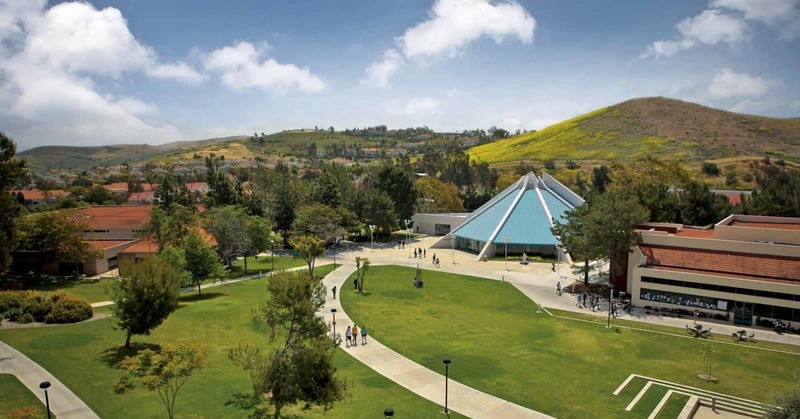 California State University-Channel Islands was first established in 2002 in Camarillo, California. There are two tracks offered for those wishing to get a BSN degree. Track 1 is a Pre – Licensure Nursing Program. Track 2 is the BSN program designed for currently active RNs who have already receive an associate degree in nursing. For Track 2 BSN students, there’s an option to finish your degree in as little as 15 months. Expect to be taking courses in the following: Nursing Research, Nursing Care of Complex Client, and Nursing Leadership & Professional Issues. 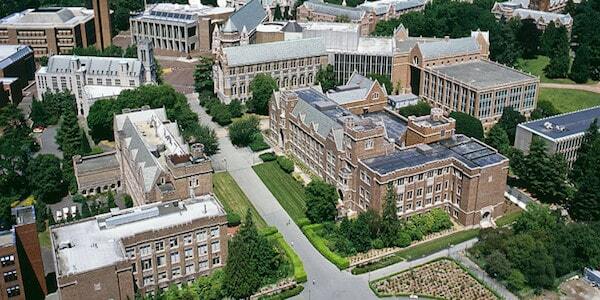 The University of Washington School of Nursing provides a fast track toward earning a BSN. The back-to-back quarters allow students to complete the program in just one year, and a unique learning lab provides a pathway toward hands-on clinical rotations at community medical facilities. 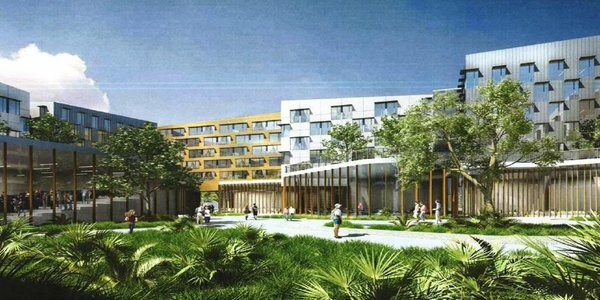 Students may get the chance to work at the Seattle Children’s Hospital and the University of Washington Medical Center. 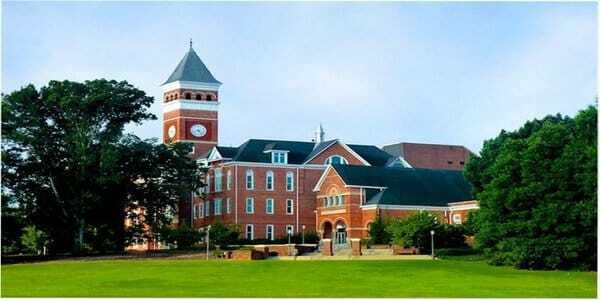 The Clemson University School of Nursing has a nearly 100% job placement rate within three months of graduation. Its program incorporates in-person classes and clinical rotations for hands-on experience. 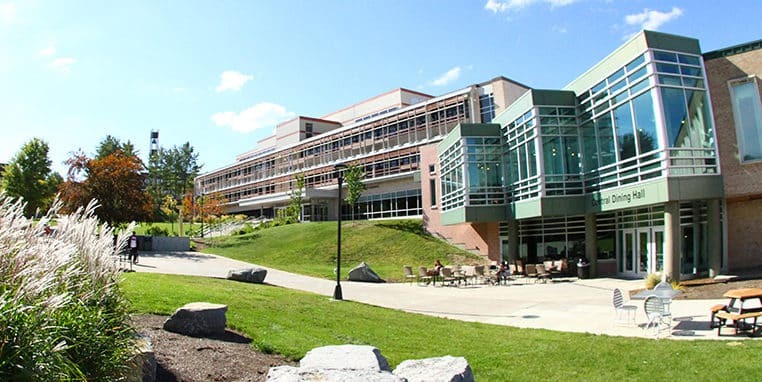 The Decker School of Nursing at Binghamton University provides a host of nursing degree programs, including an accelerated BSN program. The school was the first to earn designation for its simulation center, which includes a 10-bed hospital ward and 4-bed exam center. This gives students a unique opportunity to get hands-on experience. 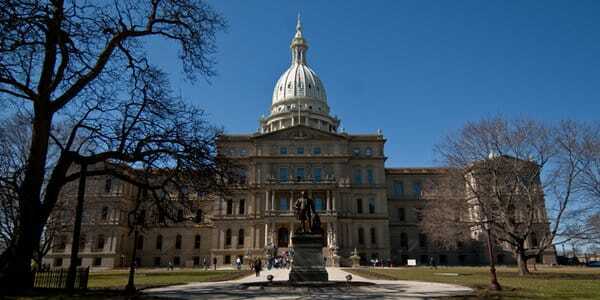 Michigan State University offers classes at both its East Lansing campus and the Detroit Medical center. The school is ranked as one of the best nursing schools by U.S. News and World Report, providing students with first-rate learning opportunities. 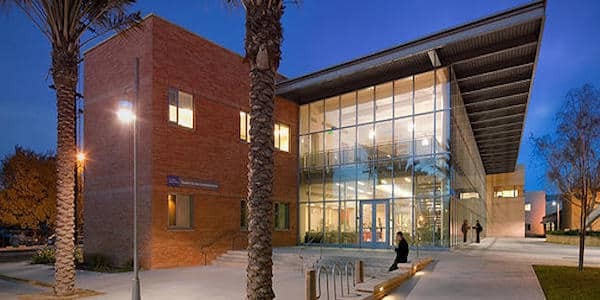 Los Angeles Harbor College was first established in 1949 and offers associate and transfer degrees. For those wishing to transfer to a four-year institution to receive a BSN after completing the program of RN here at LAHC, they offer guidance in transfer options. Curriculum options will include courses in Human Anatomy, General Microbiology, and Role Transition, Communication, Nursing Process. Augustana University’s accelerated track nursing program lasts just 16 months, providing intensive studies that prepare prospective nurses for a successful career in nursing. The school features a culturally diverse student body from across the United States and 32 countries around the world. The Denver School of Nursing offers intensive nursing programs, and the school is devoted only to educating nurses. The school combines focused NCLEX preparation, a state-of-the-art simulation lab, and a virtual library, providing students with a wealth of learning opportunities. 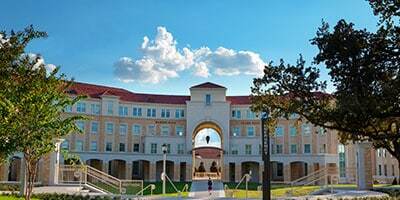 The Harris College of Nursing and Health Sciences at Texas Christian University provides students with access to state-of-the-art simulation and practice labs to provide hands-on experience at every step of the degree program. The school’s accelerated BSN includes 59 hours of nursing coursework. The University of North Alabama’s Anderson College of Nursing is located in Florence, Alabama. It offers a variety of programs for students seeking a BSN, including a 16-month accelerated program. The school boasts 140 active student organizations and more than 60,000 graduates. Tuition rates are among the most affordable, including for out-of-state students. Lynchburg College in Virginia provides students with an opportunity to acquire a BSN in two years. The program combines lectures and clinical coursework to give students a well-rounded collegiate nursing education that sets them up for success in the nursing profession. The program begins in May every year. Villanova University, located in Villanova, Pennsylvania, offers an intensive accelerated BSN program with opportunities to advance to graduate studies. Students also have unique opportunities to work on research projects to enhance their studies. Merritt College was first established in 1954 and can be found in Oakland, California. 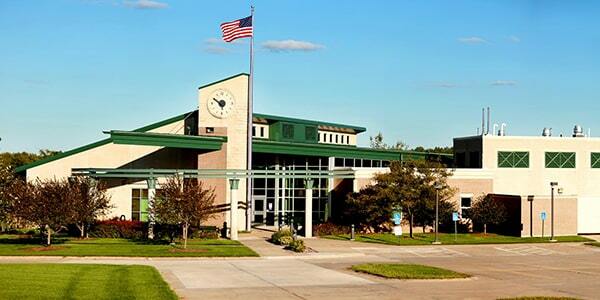 It houses over 6,000 students and offers associate degree programs. The curriculum has some degree-specific courses offered, including some of the following: Fundamentals in Nursing: Beginning Principles of Health Care, Pediatric Nursing, and Nutrition & Diet Therapy in Nursing. University of North Georgia was created in 2013, unifying both North Georgia College & State University and Gainesville State College, which had been around for decades. Today, UNG serves more than 18,000 students through its multi-campus institution. UNG’s bachelor of science in Nursing program is offered entirely online. The curriculum offers classes in Cultural & Health Assessment, Nursing Leadership, and Sociology of Health. 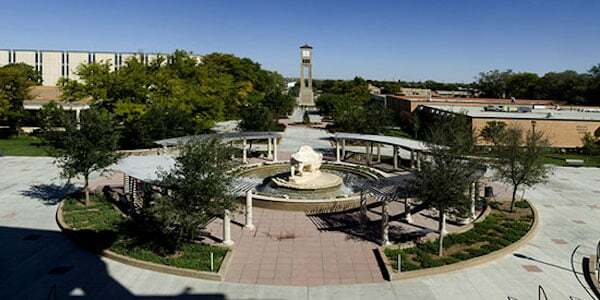 West Texas A&M University, on of the best BSN programs in Texas, first opened its doors in 1910. 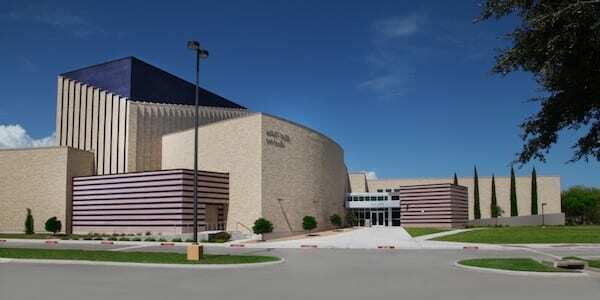 WTAMU serves over 10,000 and 59 undergraduate degree programs. WTAMU’s RN to BSN program is flexible for a working nurse and courses can be completed in one academic year. BSN students can look forward to a curriculum with classes in Practice of Professional Nursing, Pharmacotherapeutics Applied to Pathophysiology, and Issues in Health Care Delivery. Slippery Rock University was founded in 1889 and is located in Slippery Rock, Pennsylvania. The RN to BSN degree is a 100% online program in which most classes are offered in seven-and-a-half week sessions, providing flexibility to the schedule demands of a working adult student. Coursework includes classes in Medical/Health Care Ethics, Nursing Research, and Cardiovascular Function: Assessment & Treatment. Western Kentucky University was first established in 1906. WKU has an RN to BSN degree program, perfect for RNs to continue their nursing education. The RN to BSN program consists of 36 hours of upper-level nursing courses, including some of the following: Care of the High Acuity Patient, Concepts of Pharmacology, and Concepts of Public Health Nursing. 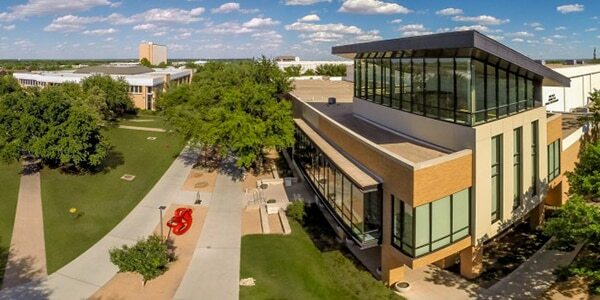 Del Mar College first opened its doors in 1935 in the city of Corpus Christi, Texas. Del Mar is ranked as one of the nation’s top 50 higher education institutions that grant diplomas to Hispanic students and prides itself on its diversity and inclusivity. Del Mar offers a vocational nurse certificate, and also offers an associate of applied science degree in Registered Nursing. For those who want to pursue a bachelor of science in nursing, they also offer an associate of arts degree in nursing. For those choosing Del Mars associate of arts transfer route, the curriculum consists of five semesters, in which students are introduced to topics in the areas of Microbiology & Clinical Pathology, Nutrition & Diet Therapy, and Human Anatomy & Physiology. Rhode Island College offers individualized plans for students to set them up for success. Situated on a 180-acre campus in Providence, Rhode Island, this school offers a beautiful setting as well as supportive faculty. 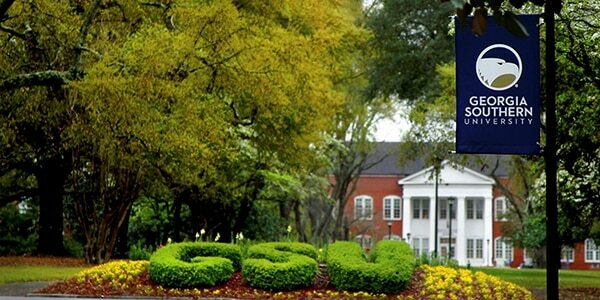 Georgia Southwestern State University was founded in 1906. Among distinguished GSW alumni are former President of the United States and Nobel Peace Prize recipient Jimmy Carter and Griffin Bell, former U.S. Attorney General. GSW offers a few options for those pursuing a bachelor’s degree in nursing. Those wishing to advance in their careers from RNs to BSN candidates can earn their bachelor’s through GSW’s fully-online program. Requirements for the RN-BSN program consists of 5 non-clinical courses, 2 clinical courses and a Practicum. University of Louisiana-Lafayette first began classes in September 1901. Today, it serves more than 18,000 students across it’s beautiful 1,500-acre campus. UL Lafayette offers their RN to BSN degree program online and can be completed in as few as 12 months. Courses in the field include Nursing in a Disaster for RN to BSN, Health & Physical Assessment, and Nursing Leadership & Management for RN to BSNs. SUNY College of Technology at Alfred was established in 1908. SUNY at Alfred offers three degree options for those pursuing a bachelor degree in Nursing. There’s an option for a fully online curriculum, and students can expect to take courses in Nursing Leadership & Management, Health Assessment & Promotion Across the Lifespan, and Population Focused Care in the Community. Georgia Southern University’s first school year began in 1908. GSU’s online RN to BSN Program is designed for individuals who are currently registered nurses who wish to earn a Bachelor of Science in Nursing degree. It’s an affordable, flexible, and individualized program tailor-made for those wishing to achieve professional advancement and personal enrichment. Courses in the BSN program will include Complimentary Therapeutic Modalities, Critical Analysis of Nursing Concepts, and Critical Inquiry-Nursing Research. Santa Barbara Business College-Santa Maria was initially established in 1888. Their Vocational Nursing program has been ranked 5th out of 129 other vocational nursing programs. For being one of the top nursing programs in California, it seems like a good place to start looking for information about flexible Nursing programs. At SBBCollege, vocational nursing program students practice in a supervised laboratory setting and then get to build on those skills at clinical sites with real patients. The curriculum offers courses in Fundamentals of Nursing, Geriatric, Orthopedic & Respiratory Nursing, and Cardiovascular, Endocrine & Neurological Nursing. 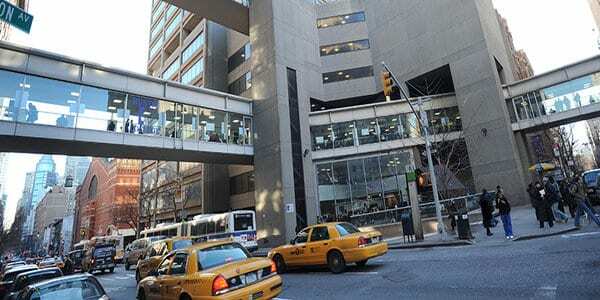 Hunter College is part of the City University of New York school system. Students at its esteemed Hunter-Bellevue School of Nursing have access to clinical practice courses and opportunities to participate in research programs. Northern Illinois University was first founded in 1899. NIU has been recognized with the Economic Prosperity University Award for Place in 2013, for its community, social, and cultural development work. It also offers undergraduate and graduate degree programs in over 100 areas of study. For those studying to get their bachelor of science degree in Nursing, NIU’s Nursing students have had a 95 percent pass rate on the National Council of State Boards of Nursing Licensure Examination. Besides studying the fundamentals of Nursing, NIU offers an in-depth curriculum which includes classes such as Pharmacology, Mental Health Nursing Clinical, and Genetics & Human Genomics for Nurses. 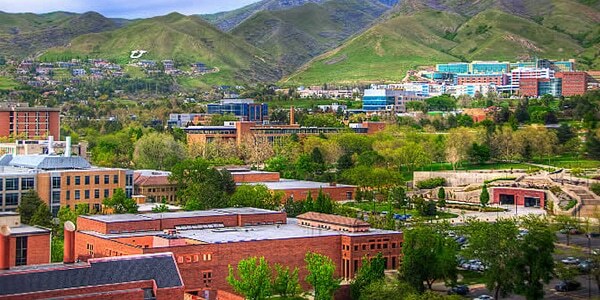 The University of Utah was first founded in 1850 and can be found in Salt Lake City, Utah. It offers over 100 undergraduate and over 90 graduate degree programs, and houses over 30,000 students to date. For those looking into the BSN program, the degree offers three track options: the Pre-licensure BS (for students who don’t have a nursing license), the Post-licensure BS (for students who have an associate’s degree), and the Early Assurance Program (for high school seniors and college freshmen with less than 30 credits). Regardless of which track suits your needs, all students are required 9 nursing prerequisites in courses such as Biology, Anatomy, and Chemistry. The curriculum requires students to perform several hours of clinical work in area healthcare facilities, providing significant hands-on experience. 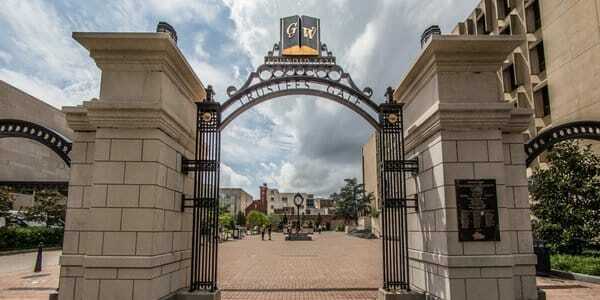 George Washington University is a top-ranked school offering an accelerated BSN program for students who already hold four-year degrees in non-nursing fields. The School’s simulation center provides hands-on experience to prepare for clinical rotations and work as a professional nurse. 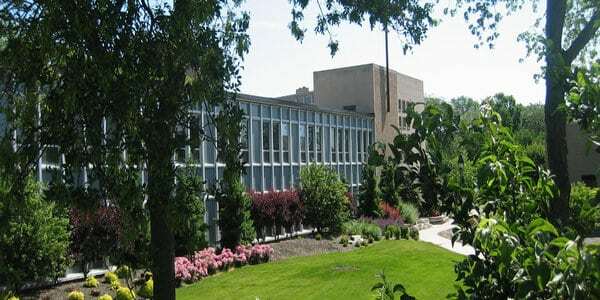 Grand Valley State University’s Kirkhof College of Nursing is located in the Heart of Grand Rapids, Michigan. The school offers clinical rotations at a host of community facilities, including local health departments and Metropolitan hospital. Columbus State University first opened its doors in 1958. CSU offers a Bachelor of Science in Nursing degree program made specifically for current RNs. The program is designed to last a minimum of 12 months, is entirely online, and is based on 7-week terms to provide flexibility for the student and to help shorten average time to completion. Courses include Pathophysiology, Evidence-Based Practice RN, and Professional Development Perspectives RN. 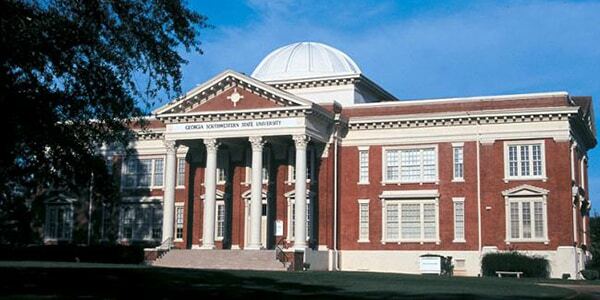 Mississippi College first opened its doors in 1826. MC’s RN to BSN program is 100% online, and is designed specifically for working RNs. MC’s CCNE-accredited program is flexible, affordable and convenient. Courses in the program include Community Health Nursing, Policy & Finance, and Nursing Leadership/Management. Duquesne University was founded in 1878 and is located in Pittsburgh, Pennsylvania. Duquesne offers a fully-online RN to BSN program is designed for students to continue working and gain career momentum. There are 30 required nursing program hours, which include coursework in the areas of Information Technology in Nursing, Genetics in Nursing & Health, and Nursing Ethics Across the Lifespan. The University of Massachusetts-Amherst offers a 17-month accelerated BSN nursing program in a collaborative setting. The school also offers a host of other programs, including an online master’s program, Spanish health certificate, and Ph.D. in Nursing degree. 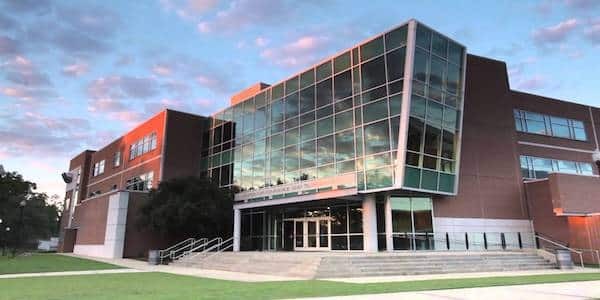 Arkansas State University provides students with access to a range of research opportunities, in addition to the accelerated BSN nursing programs. The school is also home to the Arkansas Bioscience Institute, which works to find unique solutions to meet the needs of Arkansas residents. 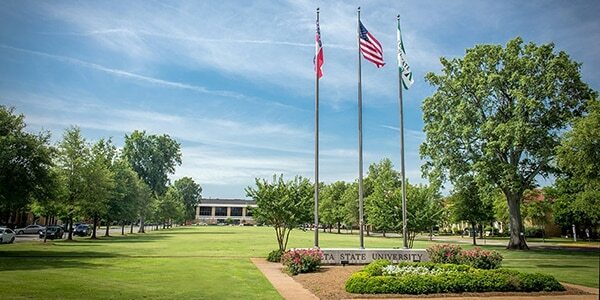 Delta State University was first established in 1924 and is located in Mississippi. With more than 3,000 students and over 40 majors, it is a well-established public institution providing a comprehensive undergraduate and graduate career to its community. The RN-BSN Completion degree program is designed for current RNs who wish to upgrade their current career track. Students will learn much about Community Health Nursing, Health Policy & Ethical Decision Making, and Management of Client Care, amongst other topics. University of New England first began in 1939 on the banks of the Saco River in Maine. Now encompassing three campuses, over 40 undergraduate majors, and six Centers of Excellence in Research, UNE is the only university in Maine that has a dental and medical school. UNE offers three options for those choosing to study nursing: the traditional four year BSN, the accelerated BSN for double majors, and the Nursing Completion program for RN to BSN candidates. UNE’s RN to BSN Program is designed for those who currently hold an RN license, and the curriculum will consist of some required courses such as Health Assessment, Ethical Issues in Nursing, and Nursing Leadership & Management. Barry University’s nursing program has been ranked 26th in the counter, providing students with a unique opportunity to obtain a second bachelor’s degree in nursing. The accelerated BSN lasts 4 semesters and includes small class sizes for a supportive learning environment. Wayne State University is one of the top schools in Michigan, and it’s located in the heart of a bustling metropolitan neighborhood in Detroit. The Wayne State College of Nursing provides students with experience serving a culturally diverse community. South Dakota State University offers its accelerated BSN program at both the Aberdeen and Sioux Falls campuses. In addition to on-campus labs and lectures, students can also participate in clinical rotations throughout the surrounding community of each campus. Georgia Highlands College first opened its doors in 1970 and serves more than 6,000 students in Northwest Georgia and Northeast Alabama across its five campus locations. GHC currently offers more than 30 areas of study for undergraduate students, both on-campus and online. GHC offers a flexible program option for futures BSN students, it’s called the RN-BSN Completion Program, which is offered online and can be completed in three consecutive semesters for full-time students. Requirements to be accepted into the program include a current valid RN license to practice nursing in the U.S. with no current disciplinary actions, having graduated from an accredited nursing program, a cumulative GPA of 2.5, lacking a maximum of 3 core courses, and all Sciences courses, English 1102, and Math 2200 must be complete with a grade of “C” or better. University of Arkansas-Fort Smith was first established in 1928. UAFS offers 60 bachelor’s and associate degree programs. Although there are on-campus options for the BSN program, UAFS offers the RN-BSN Online Completion Track to offer flexibility to those currently working or needing a program that can adjust around their needs. The curriculum of the BSN program will consist of courses in Pathophysiology, Current Issues & Trends in Professional Nursing Practice, and Leadership & Management in Professional Nursing. 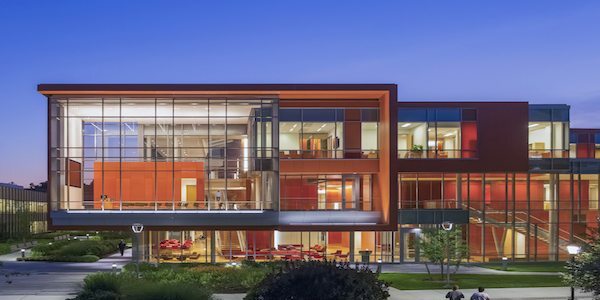 Ball State University in Muncie, Indiana offers a 19-month second bachelor program. The school also offers an online RN to MS program to help students continue their education beyond the bachelor’s program. Florida National University was first established in 1982 in Hialeah, Florida, although it did not open for classes until January of 1988. It offers graduate studies options for those seeking a further educational experience, but you can earn associate and bachelor degrees as well. Looking to switch from an RN to a BSN? FNU’s graduates of the BSN program are trained with the necessary knowledge and skills to safely practice patient care and pass the NCLEX exam. Besides completing the general education requirements, students are asked to take courses in Psychiatric, Pediatric, Maternity & Newborn, and Adult Health Nursing as well as Pathophysiology, Pharmacology, and Nursing Leadership & Management. Some of the requirements for entrance into the program include taking a Diagnostic Test, passing the KAPLAN exam with at least an 85% as a combined score in all four sections OR presenting an active RN license. New Mexico State University offers several degree programs, including two accelerated BSN programs. Students can choose from a 16-month program at the Las Cruces campus and a 2.5-year program at the Grants campus. Oregon Health and Sciences University School of Nursing offers both an accelerated BS program as well as opportunities to earn an advanced degree. Students can acquire a master’s degree in one of several specialties, including a family nurse practitioner and pediatric nurse practitioner. Angelo State University opened its doors in 1928 near downtown San Angelo. ASU has been ranked by The Princeton Review as one of the nation’s “Best Colleges” every year since 2010 and offers more than 100 majors and concentrations. For those wanting admission into the Bachelor of Science in Nursing Generic Option degree, students must take the TEAS or HESI A2 exam and receive a 70% or higher. 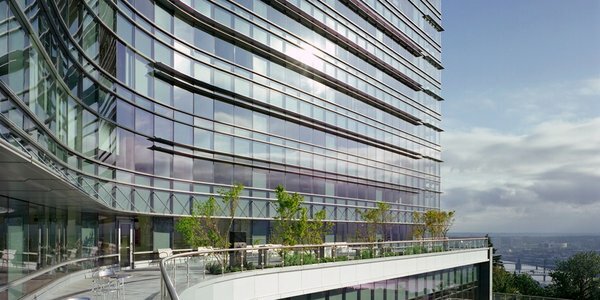 New York University is one of the most highly respected institutions in the country, and its accelerated BSN program provides students with a chance to take advantage of this unique learning opportunity. Successful completion of the program can lead to advanced degree opportunities, and students can also opt for a dual BS/MS program. 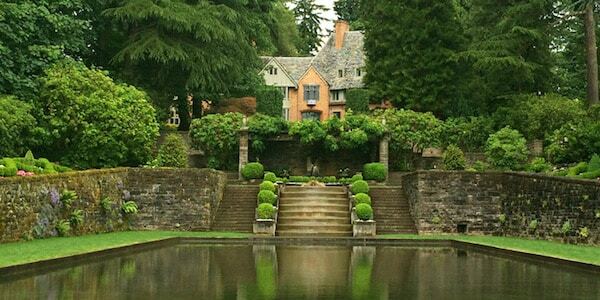 Lewis & Clark College was first founded in 1867, just south of where Portland is today. Lewis & Clark was named in 2015 as the “Number 1 Green College” by the Princeton Review. Lewis & Clark offers a variety of majors in the Pre-Med/Healthcare field, including Biology. Although, according to Lewis & Clark, “Your field of specialization is much less important than your ability to accomplish mastery; dedication and genuine interest are keys to success in the intense professional training that follows the bachelor’s degree,” which means if you’re planning on attending medical schools, you might want to consider a different major. Courses available for those pursuing the Pre-Med field include Investigations in Cell and Molecular Biology, Organic Chemistry, and Comparative Physiology. The University of Tennessee-Chattanooga first opened in 1886. Looking to go from an RN to a BSN holder? UTC has a flexible program called the Gateway Program, which enables currently-working registered nurses to obtain a bachelor’s degree in nursing while maintaining their jobs. It’s an online program designed around a four-semester schedule (16 months) so that current practicing RNs can advance their knowledge in the field and progress in their careers while balancing work and life. The curriculum is straightforward and consists of courses such as Pathophysiology, Community Health Nursing, and Leadership/Management. Cleveland State University offers a 15-month, pre-licensure accelerated BSN program that runs from January until the following May. The school is located in the center of Cleveland’s bustling downtown area, and the campus recently underwent a $500 million makeover. Affordable tuition rates and a competitive program make this school a popular choice for prospective nurses. 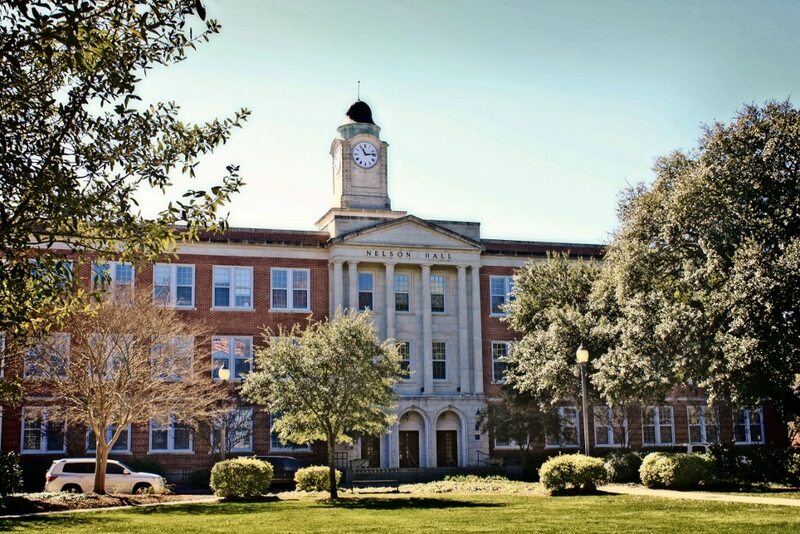 Valdosta State University offers a 15-month program, during which students are enrolled in 15 credit hours per semester. The school is situated close to the big city excitement of Atlanta and is a short drive to Disneyworld and the white sandy beaches of Florida. Indiana University-Purdue University Indianapolis offers a unique partnership of two excellent schools. The campus is located in the heart of Indianapolis, and its school of nursing offers a variety of nursing degree programs. The three-year program features a concept-based curriculum, and students have the opportunity to participate in the BSN honors program. 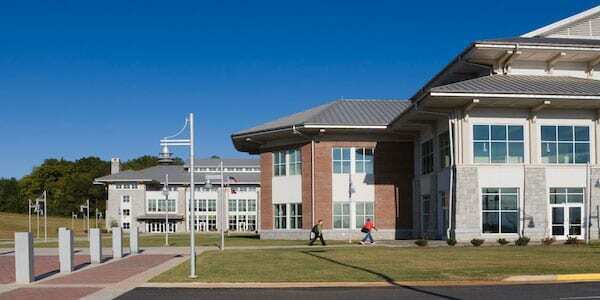 Curry College was founded in 1879, and it’s located in Milton, Massachusetts. The school offers 27 undergraduate majors, including its accelerated BSN. Small class sizes allow for a supportive learning environment, and the 16-month program length offers students the chance to complete their second degree quickly. Concordia University Irvine was founded in 1976 in Irvine, California. CU Irvine has a variety of degree options for those studying Nursing, including an RN to BSN in CA track for those who hold current RN certification. The program can be completed in as little as twelve months full-time, or approximately two years part-time. There’s also the flexibility of taking classes online and on-campus, whichever fits the students’ personal needs. Marian University was founded in 1851. It offers an accelerated bachelor of science in nursing (ABSN) degree program in Indianapolis and it’s designed for students with a previous bachelor’s degree in a non-nursing field. The program could last as few as 16 months and offers a combination of online and on-campus coursework. Something that makes Marian stand out is their on-site nursing simulation labs which provide hands-on learning with faculty in a simulated clinical setting. Blessing-Rieman College of Nursing gives accelerated BSN students opportunities for clinical rotations at Blessing Hospital. The school’s simulation center features a variety of manikins that recreate different types of medical care scenarios. Augusta University was established in 1828. Augusta’s College of Nursing Offers much to current RNs seeking their BSN, including nationally ranked graduate and online programs, state-of-the-art facilities, simulated learning, inter-professional collaboration across healthcare disciplines, a variety of service learning experiences, and opportunities to engage in cutting-edge research. There’s also a BSN track for students without an RN certification. Adelphi University offers a 14-month accelerated nursing program. This intensive program provides students with the foundation they need to go on to a career in nursing. The school also offers a variety of master’s programs and a nursing doctorate program. 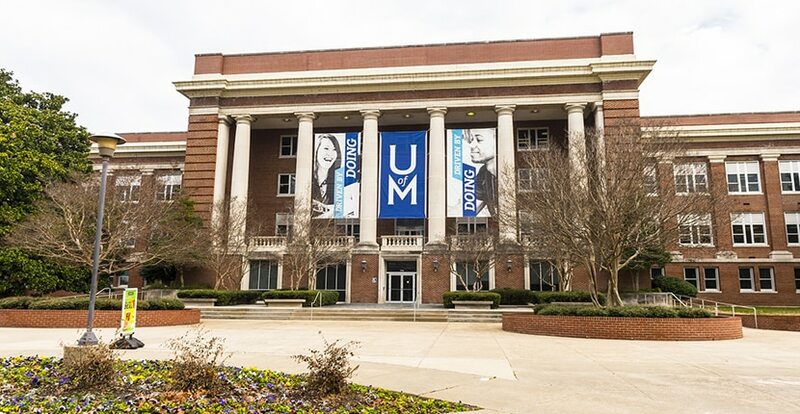 The University of Memphis Lowenburg College of Nursing is nationally ranked for several of its undergraduate and graduate nursing programs. The school recently moved into a $60 million facility, offering access to state-of-the-art technology. Bowie State University offers a second track program that involves intensive study. This school’s program is extremely competitive, so students should get their applications in early and have a backup plan for admission. Bowie also offers affordable tuition, making it an ideal option for students on a budget. Coppin State University was founded in 1900, and its campus is located in Baltimore, Maryland. The school’s accelerated program consists of 7 intensive sessions focusing on nursing education. Students can also take advantage of the James Edgar McDonald Child Development Center to provide childcare while in school. Regis College is a Catholic university serving students in the Boston area. The 16-month accelerated nursing program combines lectures and clinical rotations to provide a host of learning experiences. The Regis Children’s center offers childcare services for the staff and faculty of the university as well as families living in the community, giving students the opportunity to enroll their children. 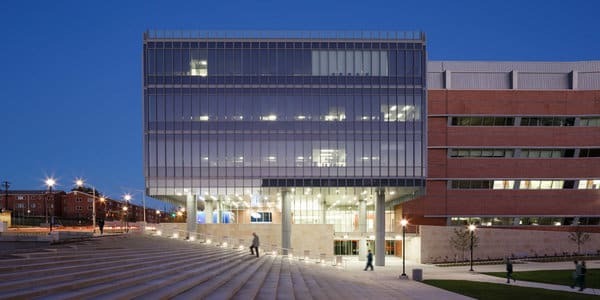 University of Massachusetts-Boston opened its doors in 1965, serving more than 16,000 undergraduate and graduate students in 11 colleges. UMass Boston’s nursing program offers full and part-time options with completion in three to five semesters full-time. The BSN degree requirements include: taking five 6-credit Nursing courses (30 credits must be taken at UMass Boston), completing all health science pre-requisites (whether taken at UMass Boston or not), meeting all required general education, distribution, statistics, and elective pre-requisite courses, completing the writing proficiency requirement, and taking 120 overall credits (including accepted Transfer and RN Licensure credits). Gwynedd Mercy University was founded in 1948. GMercyU offers more than 40 undergraduate and graduate degree programs. GMercyU offers continuing education options for current RNs which includes an online completion program that offers extended skill development in research, education, and management. St. Xavier University is Chicago’s oldest Catholic university, and it was originally founded in 1846. The school offers an accelerated BSN program as well as several other undergraduate nursing options. St. Xavier serves a small number of students, providing a more intimate educational setting. As part of the accelerated BSN program, students who already have a baccalaureate degree can move through Xavier’s baccalaureate pre-licensure program within a reduced time frame. Classes for the program begin in May and the program takes 15 months to complete. The program is only offered in a full-time format with no breaks in between sessions. Utica College in New York provides students with online nursing theory coursework and an intensive program. In addition to online courses, the school offers hands-on labs and on-site clinicals to provide students with first-hand experience. 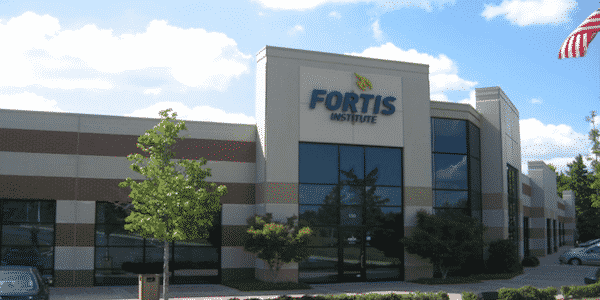 Fortis College was established in 1969 and has over 40 campuses across the U.S. as well as online programs available. The Nursing program at Fortis provides the theory, laboratory and clinical experiences to prepare students to sit for the NCLEX licensure exam and pursue an entry-level position in Practical Nursing. Fortis students can pursue an associate in nursing, a BSN, or even a master’s in nursing. To determine how to rank each college, we researched and evaluated factors such as the graduation rate, tuition costs per semester (in-state, full-time), and NCLEX pass rates. The NCLEX pass rates made up the majority of each school’s score, with the other factors stepping in to slightly adjust the higher-quality schools toward the top. The number of students who graduate within three years of the program determines the graduation rate. Also, the graduation rate is necessary to value how the programs are successful. We know that finding the best school or university online for your unique situation and interests can be a difficult task. That’s why we’ve evaluated thousands of schools based on the factors that are most important to you. To see more details, visit our methodology page. Is your school on our list? If you would like to make an edit to your school’s information, please let us know here.